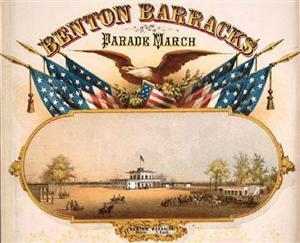 Directions: Benton Barracks [ Waypoint = N38 39.907 W90 13.223 ] was located at the site of present day Fairground Park at the corner of Grand Blvd and Natural Bridge Blvd in St. Louis, Missouri 63107. Return to your car and get headed north on Grand Boulevard. After about 2.3 miles, turn left (west) onto Page Boulevard. After about 0.4 miles, take the third right (north) onto Vandeventer Avenue. After about 1.4 miles, cross Natural Bridge Avenue to enter Fairground Park. We arrived at Saint Louis, as you are aware, at 2.30 a.m. October 11 . After breakfast rode to Benton Barracks, above the city. On the street leading to the camp passed a small field work in coarse of construction. Found the camp of great extent, with extensive quarters, constructed of rough boards. Much has been said of the large sums expended in their erection, but some one mentioned that General McKinstry, principal quartermaster, who made the disbursements, gave the cost at $15,000. If so, it was judicious. The actual cost should be ascertained. 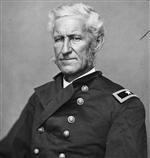 General [Samuel R.] Curtis was in command. Force present, 140 officers, 3,338 men--principally detachments, except the First Iowa Cavalry, 34 officers, 904 men, having horses, but without equipments. Brig. Gen. W. T. Sherman, U.S. Volunteers, is hereby assigned to the command of the camp of instruction and post at Benton Barracks. He will have every armed regiment and company in his command ready for service at a moment's warning, and will notify all concerned that when marching orders are received it is expected that they will be instantly obeyed. No excuses for delay will be admitted. 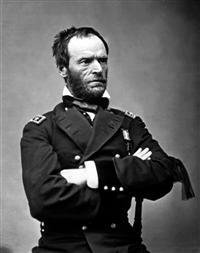 General Sherman will immediately report to these headquarters what regiments and companies at Benton Barracks are ready for the field. We soon debarked, and marched out to Benton Barracks, which were clear out of town and beyond the suburbs. The shape of Benton Barracks, as I now remember, was a big oblong square. The barracks themselves consisted of a continuous connected row of low frame buildings, the quarters of each company being separated from the others by frame partitions, and provided with two rows of bunks around the sides and ends. At the rear of the quarters of each company was the company kitchen. It was a detached, separate frame structure, and amply provided with; accommodations for cooking, including a brick furnace with openings for camp kettles, pots, boilers and the like. Both barracks and kitchen were comfortable and convenient, and greatly superior to our home-made shacks at Carrollton. The barracks inclosed a good sized tract of land, but its extent I do not now remember. This space was used for drilling and parades, and was almost entirely destitute of trees. Benton Barracks is situated upon a very flat piece of land, but very suitable for a drill camp, for which it was originally intended. The buildings, so far as comfortable quarters for the soldiers was taken into consideration, I think were well designed. Good cook houses, with suitable furnaces for cooking were conveniently arranged in the rear of the Barracks.— As to water, nothing could have been better looked to than the water conveniences ; and, no doubt, this was one of the reasons for selecting this piece of ground, as being sufficiently low to allow water to be carried into camp by the means of pipes leading from a large reservoir situated upon an elevated part of the city. This water was, we might say, carried to the door of every cook house, and was in every way convenient. The buildings for the Port commander, and for Regimental Head Quarters were also convenient and well arranged. The camp was well drained, consequently it never remained muddy any length of time after heavy rains and spells of wet weather. Upon the whole, I never saw any better in all my travels as a soldier, and doubt much if there is any better of the kind in the United States. 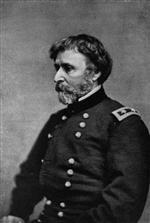 I believe that General Fremont has the honor of getting up this camp, and ordering its erection and conveniences. In this camp we were considerably put through in the business of drilling, both in company and battalion movements. Here we received our guns, and then the manual of arms had to be learned. This was entirely a new business to me, and my exercises at first were not the most exact in accordance with the military tactics. In fact in this part of military duty I never took much delight, and consequently never became very proficient. While we remained in this camp, in the winter of 1861-2, we had to go through one of the saddest trials of disease we have ever had in our term of service. Some time in December the measles broke out among the troops, and its ravages were very fatal among us. Out of our regiment we lost fourteen by death; but this was a small number compared with some of the other regiments, which lost from forty to sixty in a shorter time. Our limited loss, no doubt, is owing to our having an excellent physician. I think that among all the regiments I ever became acquainted with, our own appeared to have fewer casualties by death from disease. During the winter there were a great many troops passing out and in Benton Barracks. Sometimes we had as high as twenty and thirty thousand there at once. 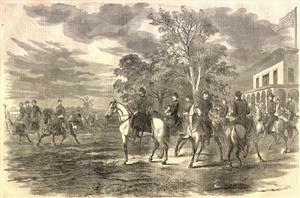 The presence of so many troops in one great encampment, the crowded condition of the barracks, the inexperience of the soldiers in their first encounter with exposure and hardship, the inclemency of the winter months, and the inability of the department to do all that was required, occasioned a large amount of sickness among the different regiments. The most prevalent diseases were measles, pneumonia, typhoid fever, and diarrhea. In one instance, it happened that three hundred, in a single regiment of cavalry, were sick, mostly taken down with measles. In another, the surgeon reported one thousand out of thirteen hundred men, suffering from coughs and colds. The barracks being rough buildings, with many open cracks, and floors without any space beneath, were far from comfortable, and the regimental hospitals were not well warmed, nor kept at an even temperature, nor properly ventilated. The consequence was that many of the measle patients were afterwards attacked with pneumonia, and died. Some 600 or 800 Iowa soldiers of the Eighth, Twelfth, Fourteenth and Sixteenth Infantry were taken prisoners at Shiloh and subsequently released on parole. Attempts were made to make them serve in violation of parole before they arrived at Chicago from Cairo. They were sent forward to be furloughed as was well understood when paroled. They were in some way detained at Benton Barracks and ordered by colonel of Twenty-third Missouri to relieve that regiment, and put on service which they deem inconsistent with their parole; they refused and are put in the guard-house. I want them sent home and furloughed until exchanged. It is proposed to treat them as mutineers. I object to such treatment to brave and willing men. I may be mistaken in my views, but the first order to relieve the Twenty-third Missouri was in effect a direct violation of parole. I do hereby solemnly swear and pledge my most sacred word of honor that I will not during the existing war between the Confederate States and the United States of America bear arms or aid and abet the enemies of said Confederate States or their friends, either directly or indirectly in any form whatsoever, until regularly exchanged or released. Necessity compels us, the undersigned, this Sabbath evening to state to you that we have orders this evening from General Schofield to be fully armed and equipped so that we can relieve the Twenty-third Missouri, now on duty. Guards to be detailed this evening to report at guard mounting tomorrow morning at 8 o'clock, and there is not a man who has signed this paper but would prefer to return to their Southern prisons before perjury. The commander here has given orders for us to stand guard. This every one of us will not do even to a man, believing it to be a violation of our oath. Already forty of us are in the guard-house and the rest are ready to go at a moment's notice to be tried by a court-martial. Paroled prisoners of war must do guard, police and fatigue duty in their own camps. This is not military duty in the belligerent sense of that word; it is simply for their own order, cleanliness and comfort and is not in violation of any parole not to bear arms against the enemy till exchanged.